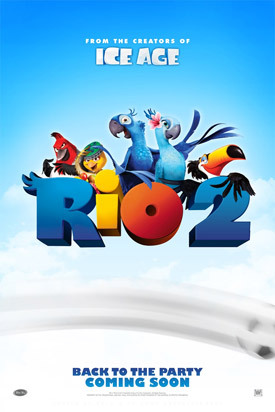 New Teaser Trailer for Rio 2. Anne Hathaway, Jesse Eisenberg, Jemaine Clement and Jamie Foxx lead the voice cast in the second installment of the 3D animated bird comedy. 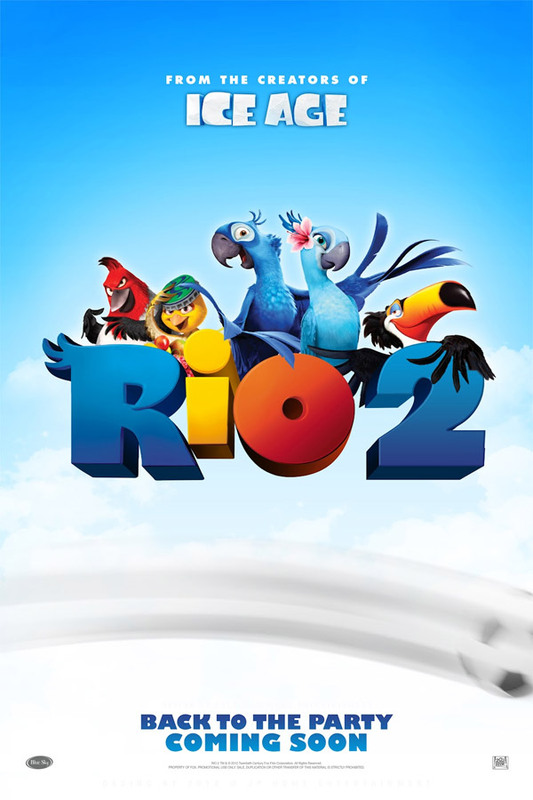 See the movie trailer and poster for Rio 2 below. In the sequel we find Blu (Eisenberg), Jewel (Hathaway) and their three kids living the perfect domesticated life in that magical city. When Jewel decides the kids need to learn to live like real birds, she insists the family venture into the Amazon. As Blu tries to fit in with his new neighbors, he worries he may lose Jewel and the kids to the call of the wild. In “RIO 2” we find Blu, Jewel and their three kids living the perfect domesticated life in that magical city. When Jewel decides the kids need to learn to live like real birds, she insists the family venture into the Amazon. As Blu tries to fit in with his new neighbors, he worries he may lose Jewel and the kids to the call of the wild.